Federer, the five-time champion and looking to end his 10-year wait to add to his total in New York, was beaten by Australia's world number 55 John Millman 3-6, 7-5, 7-6 (9/7), 7-6 (7/3). It was 20-time major winner Federer's first loss against a player outside the top 50 in 41 meetings at the US Open. "It was very hot. I felt I couldn't get any air and I was sweating more and more and became more and more uncomfortable," explained Federer. "I guess I was happy when the match was over." He added: "John dealt with it better -- he's from Brisbane, one of the most humid places in the world!" It was the world number two's earliest defeat at the tournament since a fourth round loss to Tommy Robredo in 2013. "I have so much respect for Roger and everything he's done for the game. 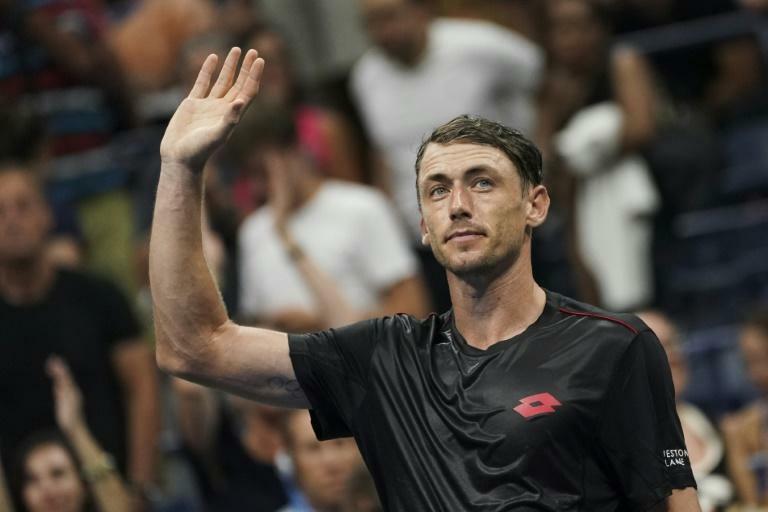 He's been a hero of mine," said Millman. "Today he was definitely not at his best. But I'll take it." 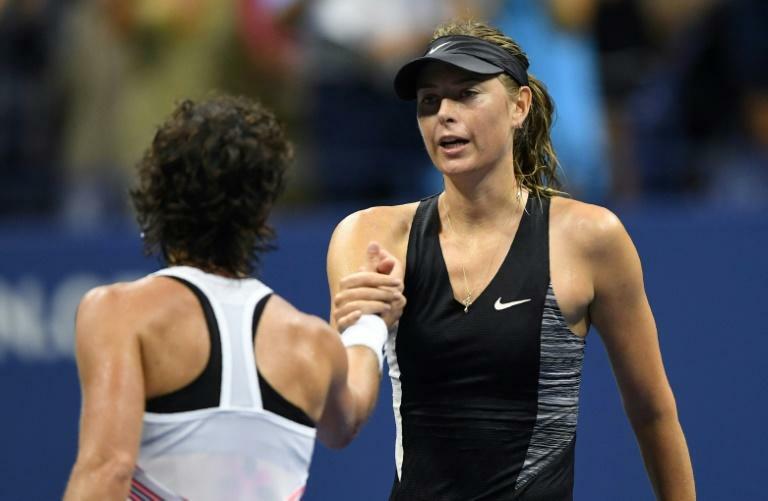 Sharapova, the 2006 champion, suffered a second successive last-16 exit in New York, blasted off court by Carla Suarez Navarro. The Spanish player marked her 30th birthday in style with a memorable 6-4, 6-3 win over the five-time major champion whose last Slam title was in Paris in 2014. Federer had cruised through the first set against Millman who was appearing in his maiden last-16 at the majors. The contest was over shortly before 1 a.m. when he hit a weary forehand wide. Djokovic reached the quarter-finals with a 6-3, 6-4, 6-3 victory over unseeded Joao Sousa. "Very happy to get this one done in straight sets," said Djokovic, who left the court for a medical evaluation early in the third set but returned to wrap things up in exactly two hours. Marin Cilic, seeded seven, beat David Goffin of Belgium 7-6 (8/6), 6-2, 6-4 and next takes on Japan's Kei Nishikori who saw off German veteran Philipp Kohlschreiber 6-3, 6-2, 7-5. Cilic defeated Nishikori in the 2014 final when he won his only Slam title. The defeat also ended the former world number one's perfect record of 23 wins -- 22 of them on Arthur Ashe Stadium -- in night sessions at Flushing Meadows. "I thought she played really well. I thought in today's conditions, her ball was getting up on me a little bit more, much more than my previous three opponents that I played," said Sharapova. "I didn't take care of the chances that I had. By 'chances,' I mean the balls that were a little bit shorter." "Maria has played here at night many times so I knew I needed to be aggressive, focussed and play solid," said the 30th seeded Spaniard. Meanwhile, Naomi Osaka reached her first Grand Slam quarter-final, beating Aryna Sabalenka of Belarus 6-3, 2-6, 6-4, tearfully admitting she was prepared to "break a leg" to win the match. "I would never have forgiven myself if I had lost that match," said a tearful Osaka. "When I was a break down in the final set I thought I would even break a leg if needed so I could get to every ball."